New Art Book – Thrive! Sculpture & Thought. Over 100 sculptures and thoughts in new art book available @ Amazon.com as paperback or Kindle book. Thrive! 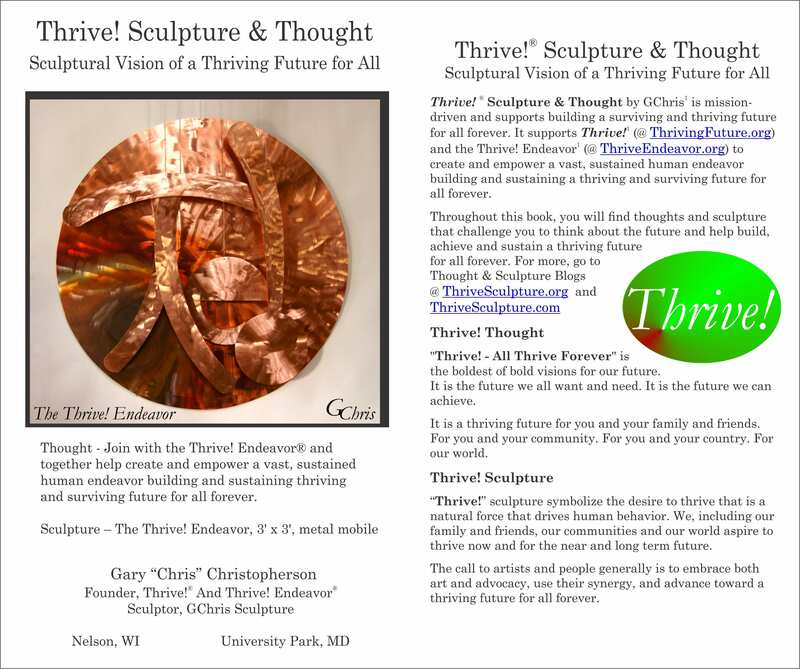 Sculpture & Thought by GChris supports Thrive! and the Thrive! Endeavor to create and sustain large, positive and timely change and building a surviving and thriving future for all forever. Throughout you will find thoughts and sculpture that challenge you to help build, achieve and sustain a thriving future for all forever. Link for Thrive!, Thrive Endeavor, Thrive! Sculpture.